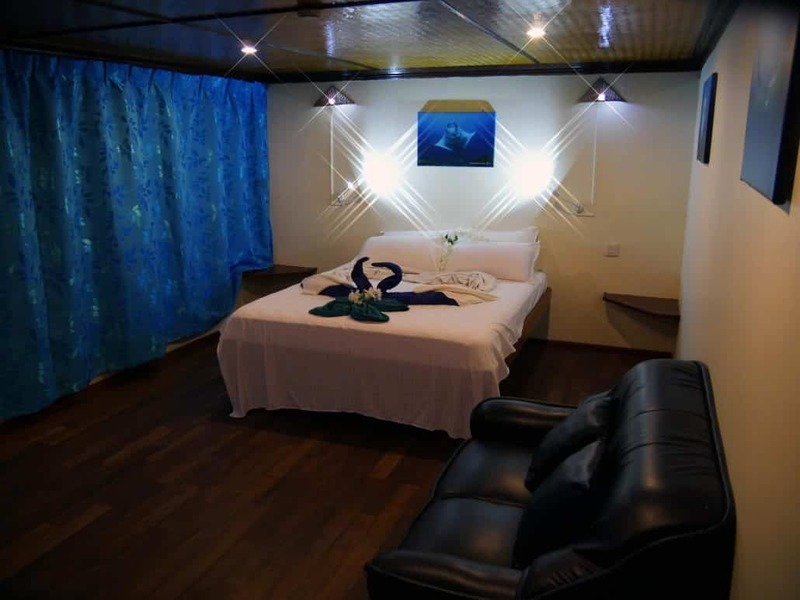 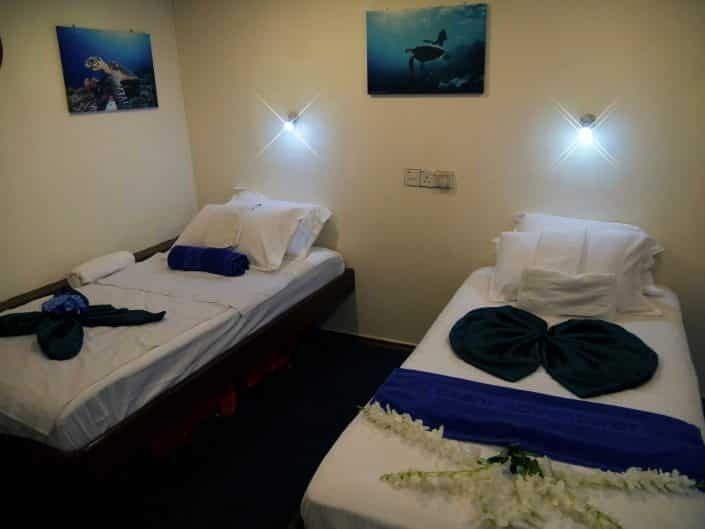 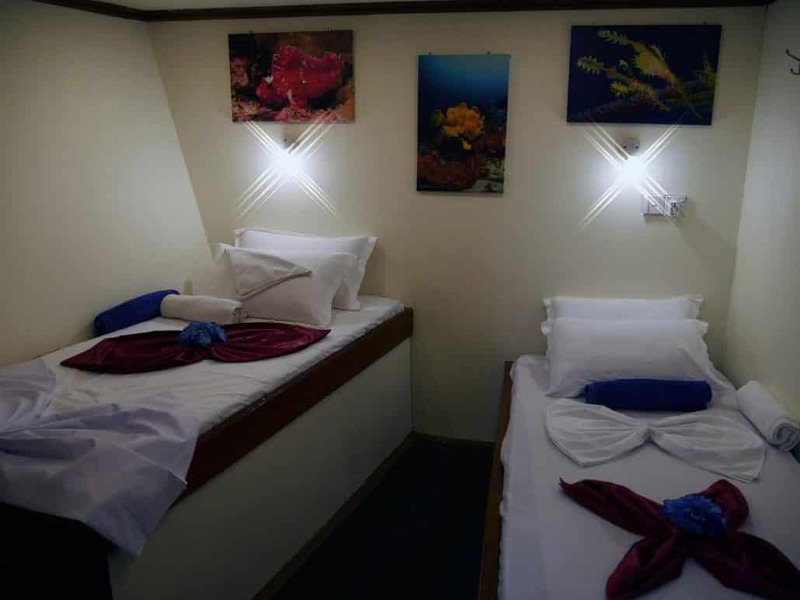 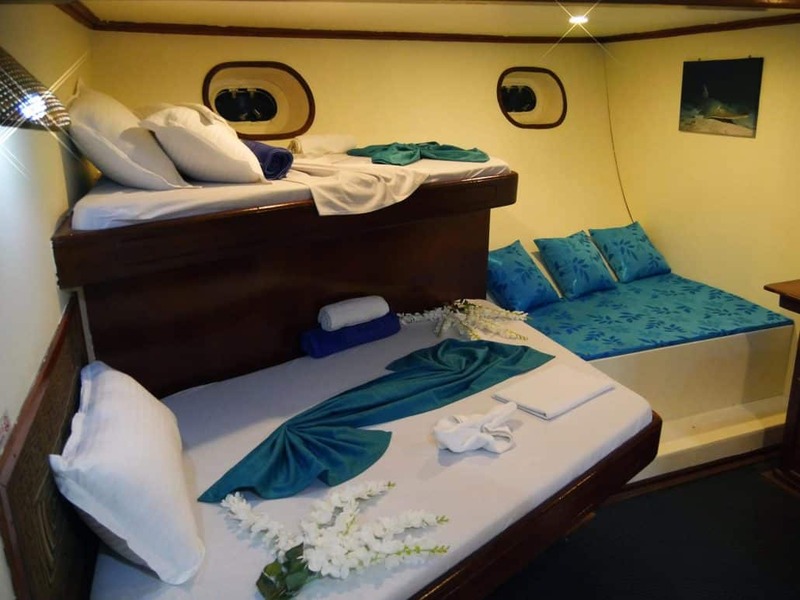 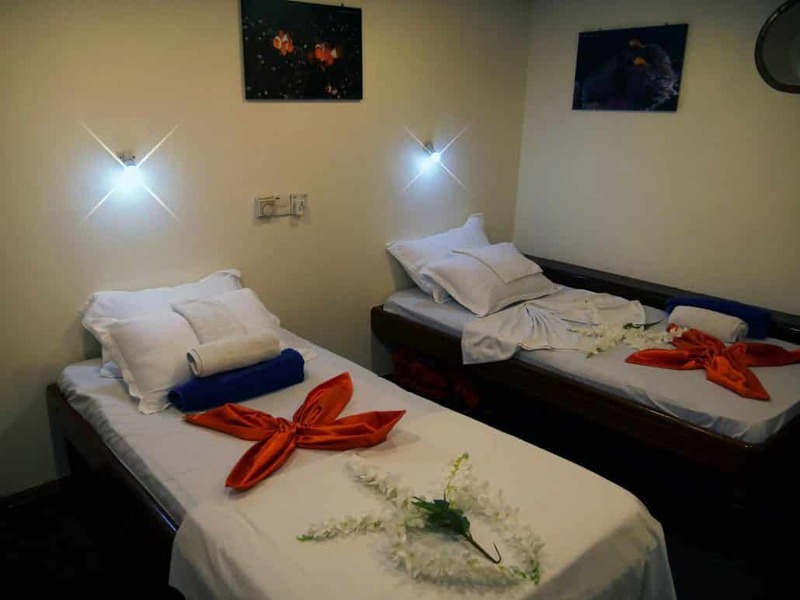 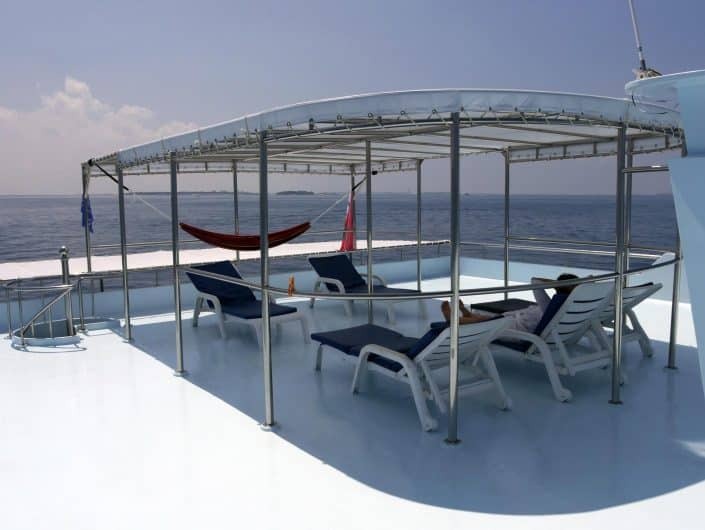 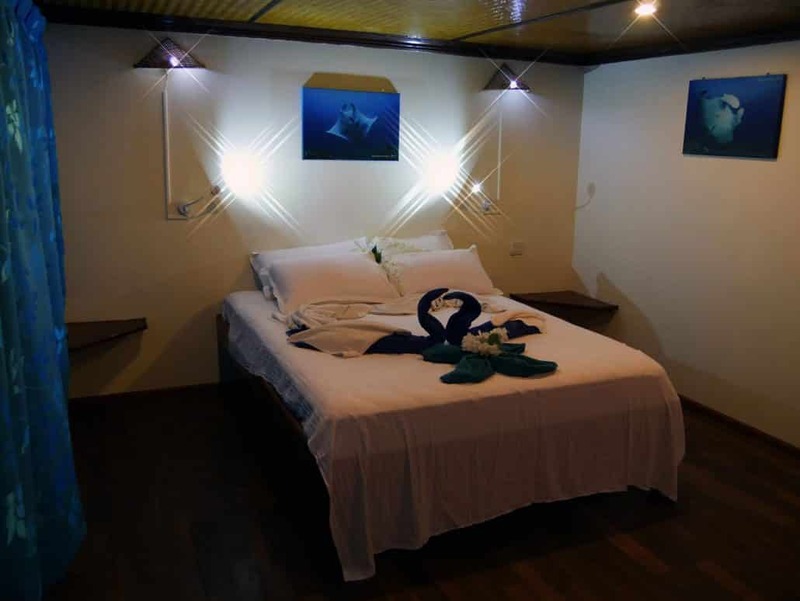 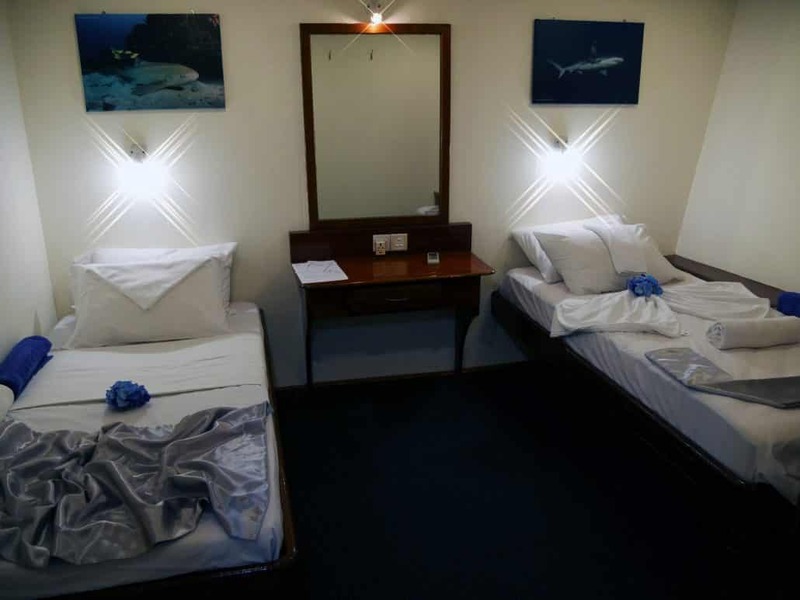 OK Maldives offers you to come and spend a cruise diving on a nice boat, which has been greatly improved and renovated in September 2017. 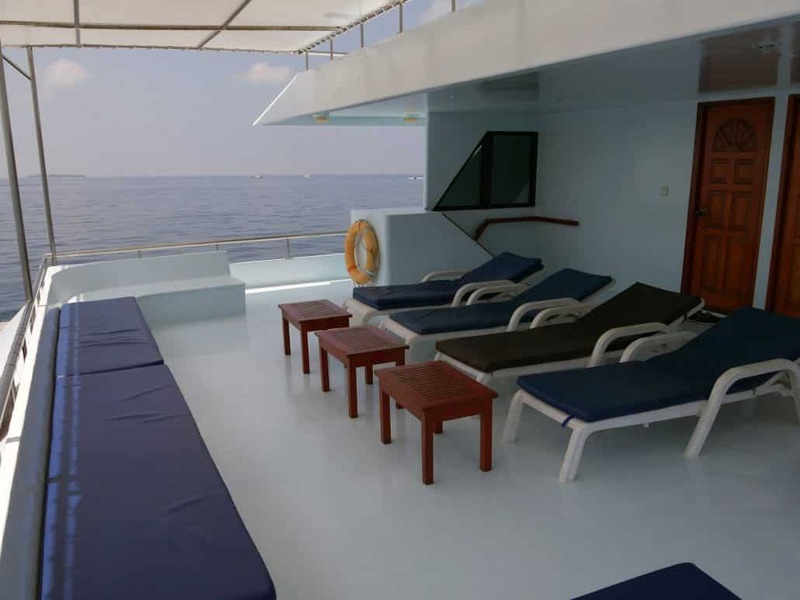 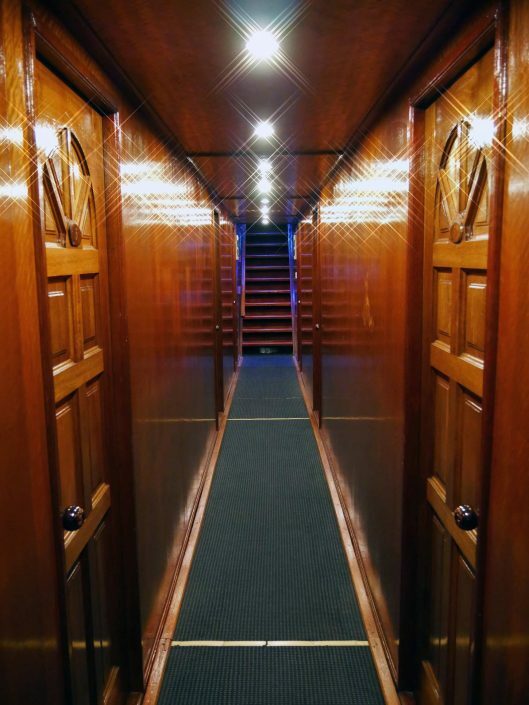 The Equator is a 30m long and 9m wide boat with 2 levels. 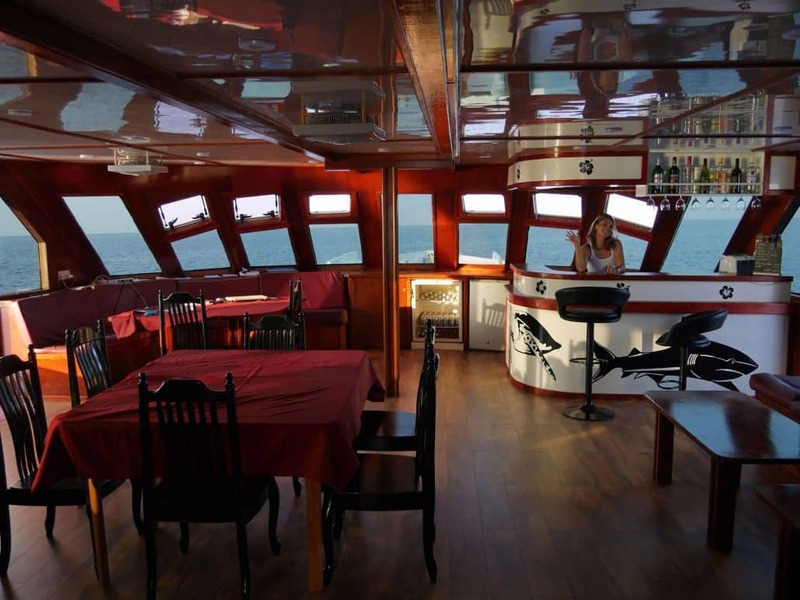 Its cruising speed is 11 knots. 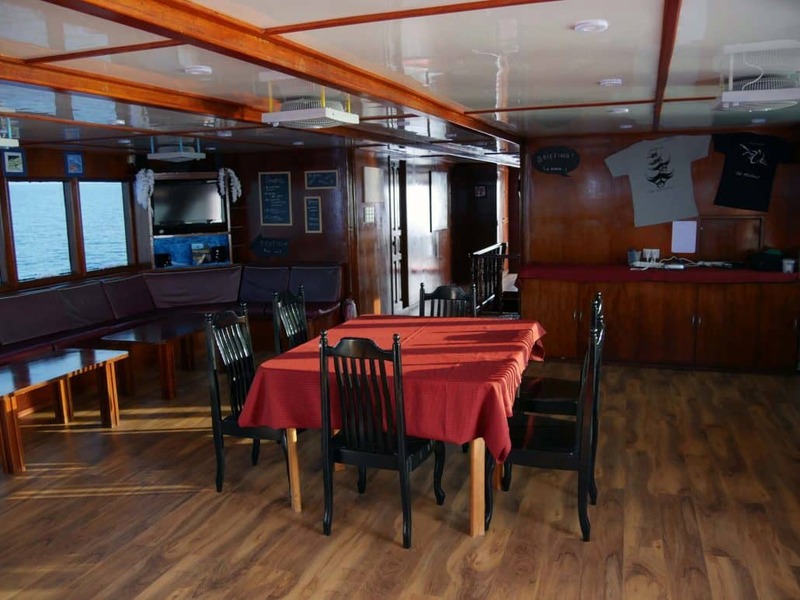 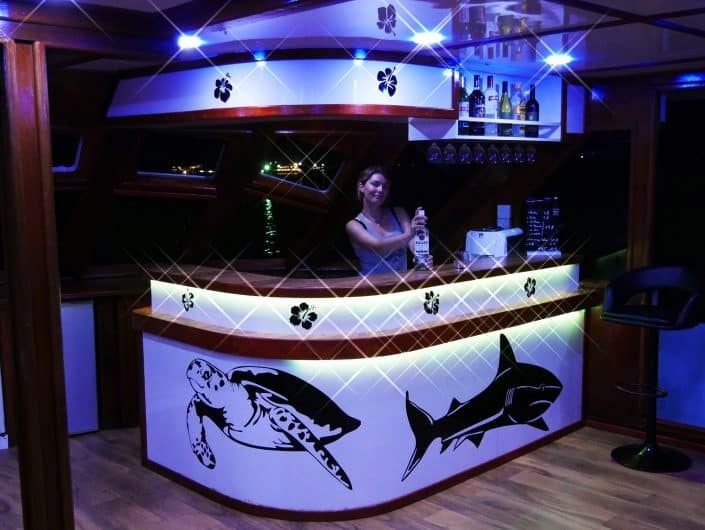 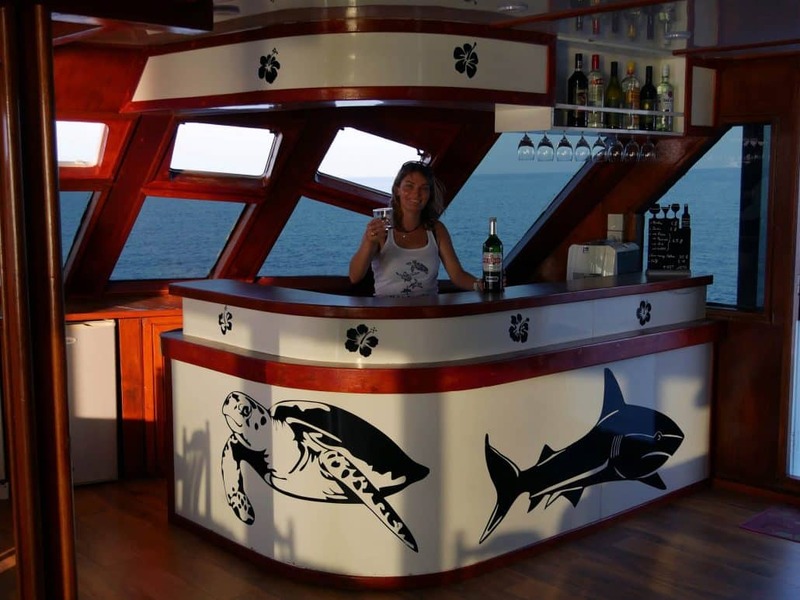 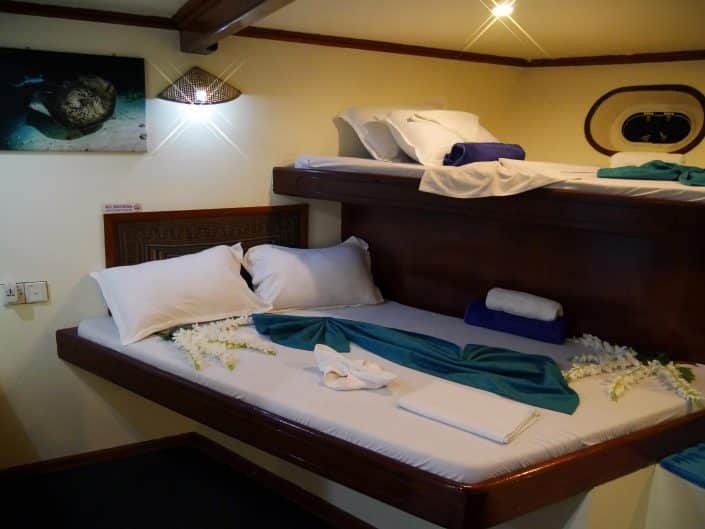 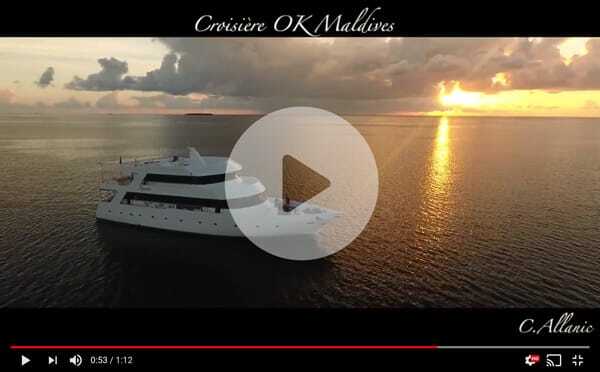 The yacht includes 9 air-conditioned double cabins (including 2 suites), private toilets in each cabin, 1 interior common room (video + hi-fi), 2 shaded outdoor lounges, a well-stocked bar, sun deck with deckchairs and finally a very well furnished library. Two generators provide continuous 24-hour power generation with 220 Volts available in each cabin, where adapters will be provided. 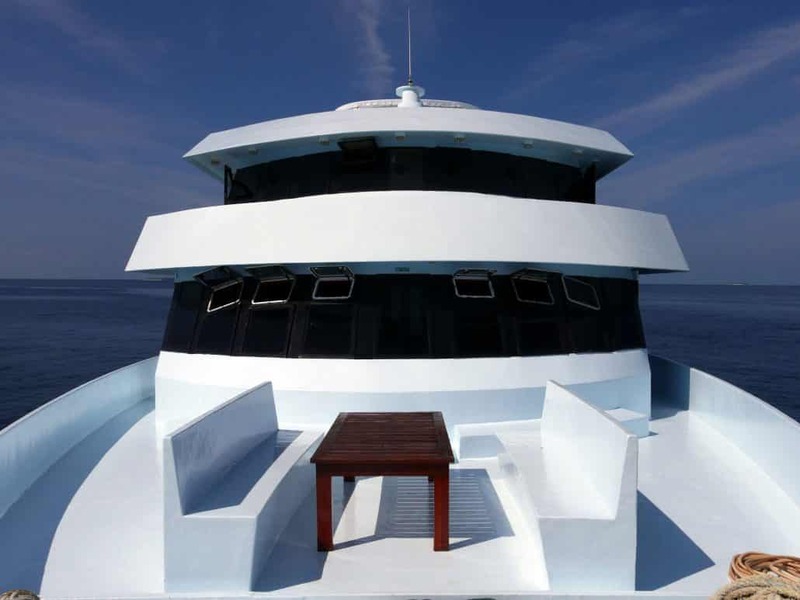 The boat is also self-sufficient in fresh water: a water filtering purifier manages the supply of fresh water on the boat for the duration of the cruise. The Equator is accompanied by a dive Dhoni, i.e. 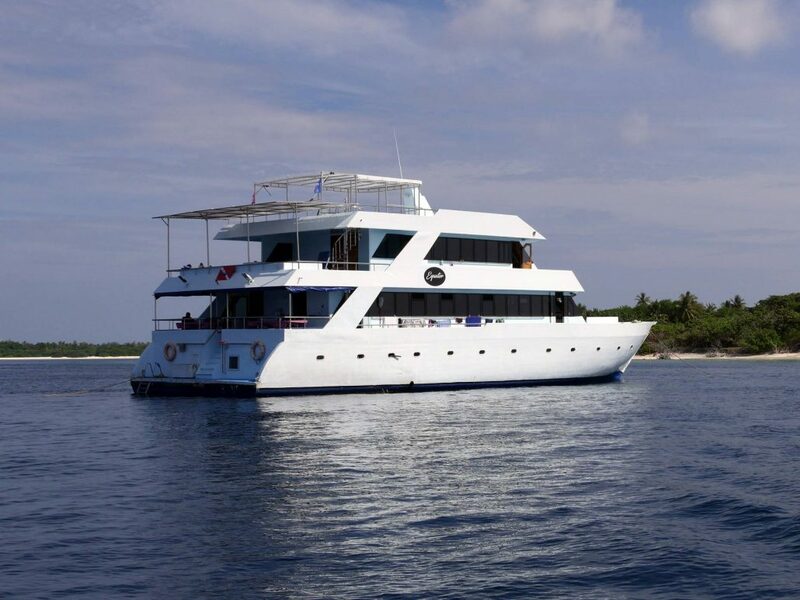 a “hard” built diving boat based on traditional Maldivian models. 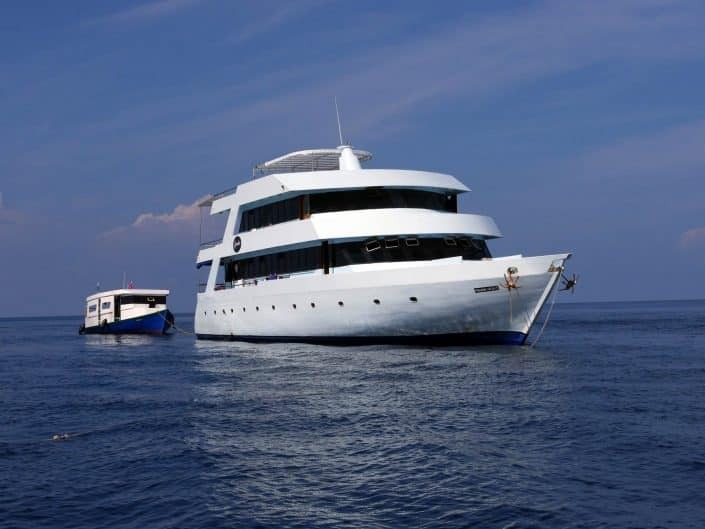 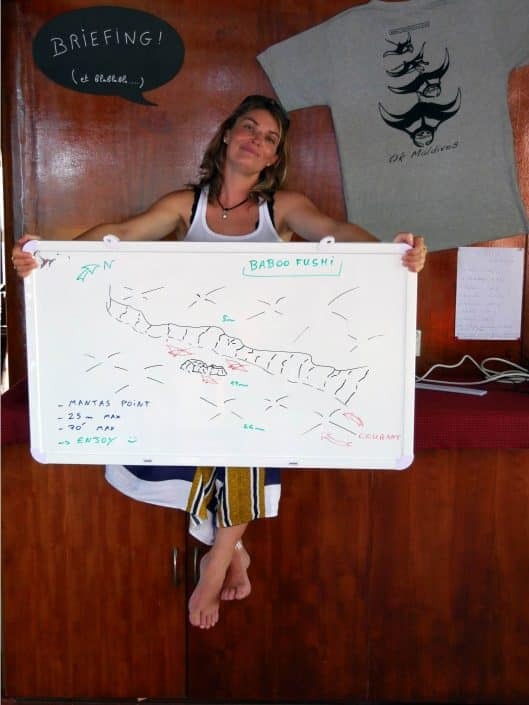 Its crew consists of an experienced captain, and two sailors who are perfectly trained in navigation, mechanics, and the assistance of divers. 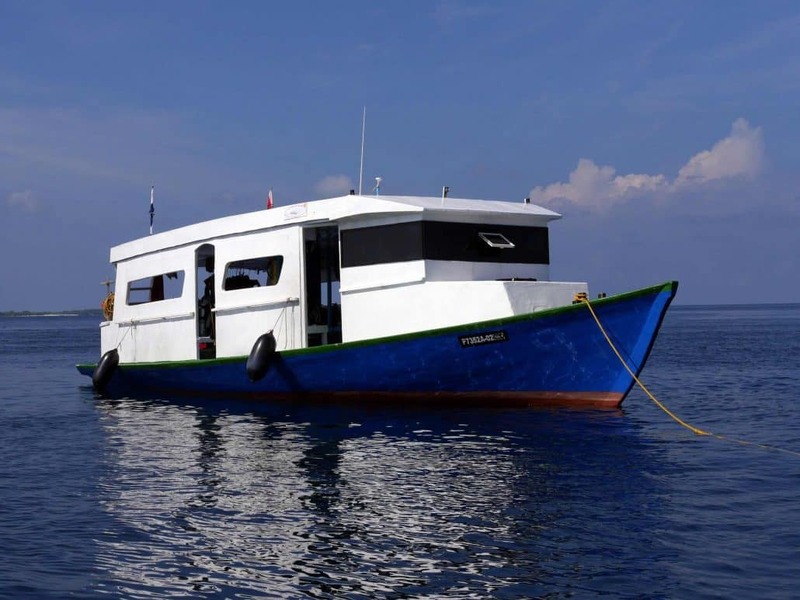 The Dhoni can carry up to 22 divers simultaneously, and is perfectly manoeuvrable, allowing for quick and accurate deployment. 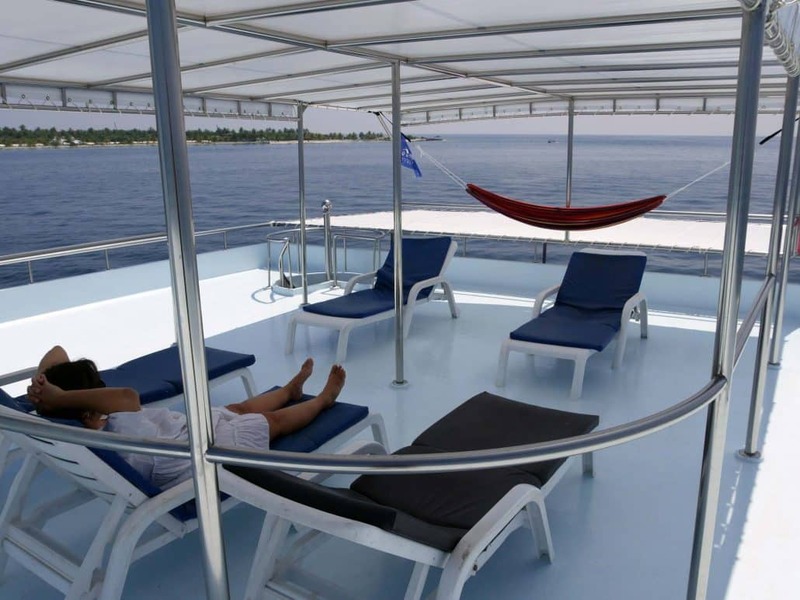 On board are air and Nitrox compressors, with the dive tanks, as well as all the diving equipment in order to keep a dry and pleasant living space on the Equator. 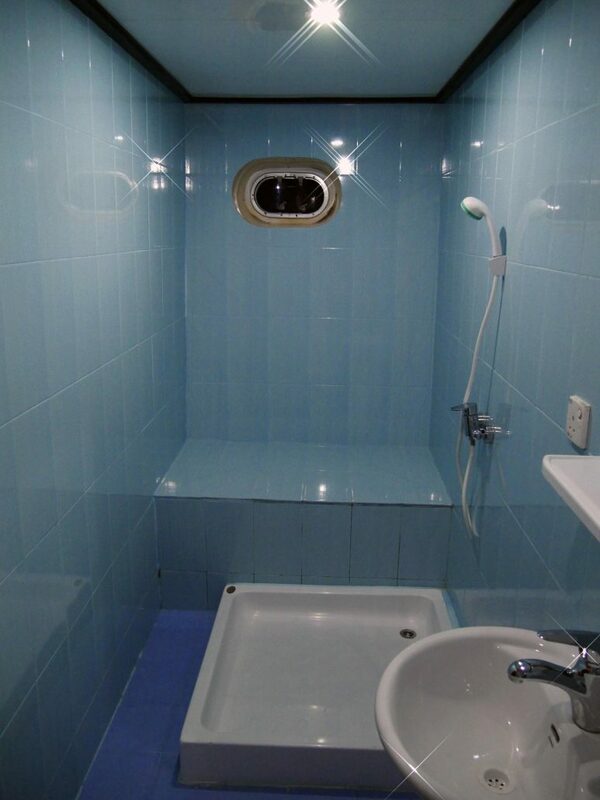 Filling is done remotely to avoid noise. Found in excellent condition on all our boats: CB Radio + GSM Telephone, 50L O2 tank with regulator and oxygen mask, medicine cabinet, a fully equipped back up diving tank set up, and a first aid kit. 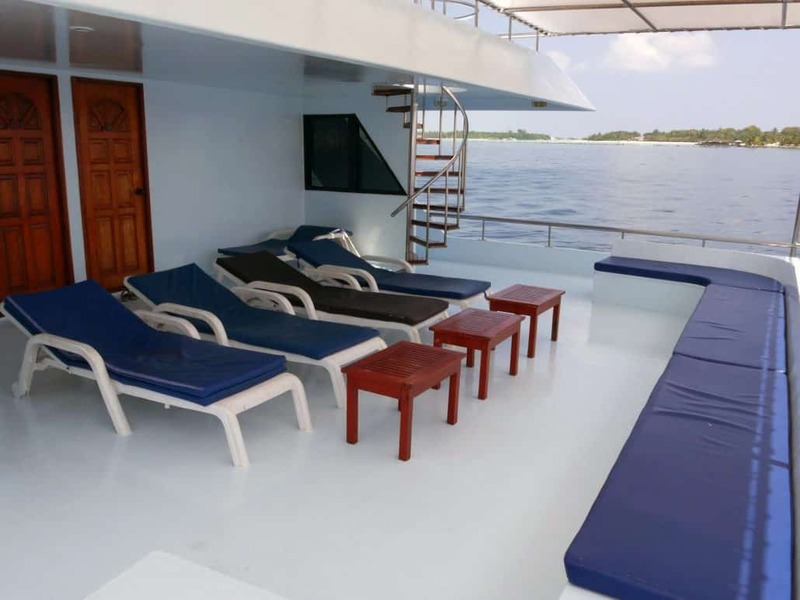 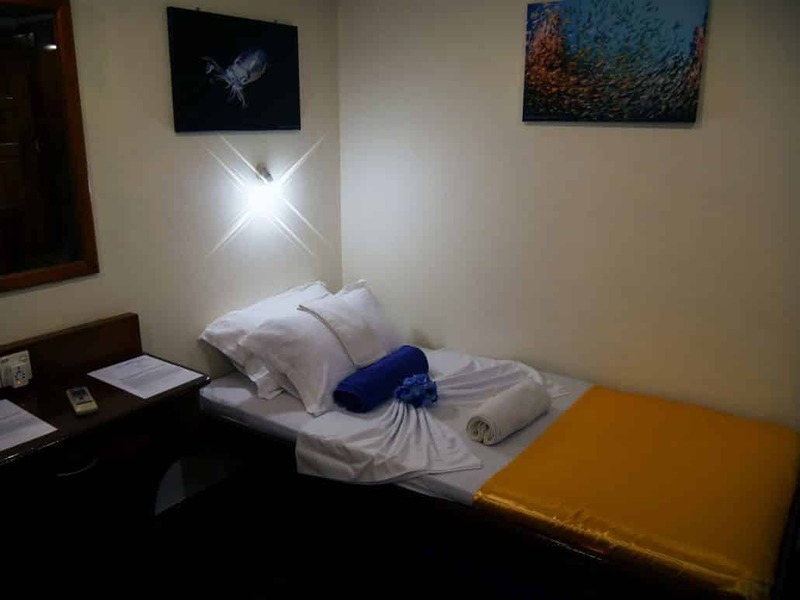 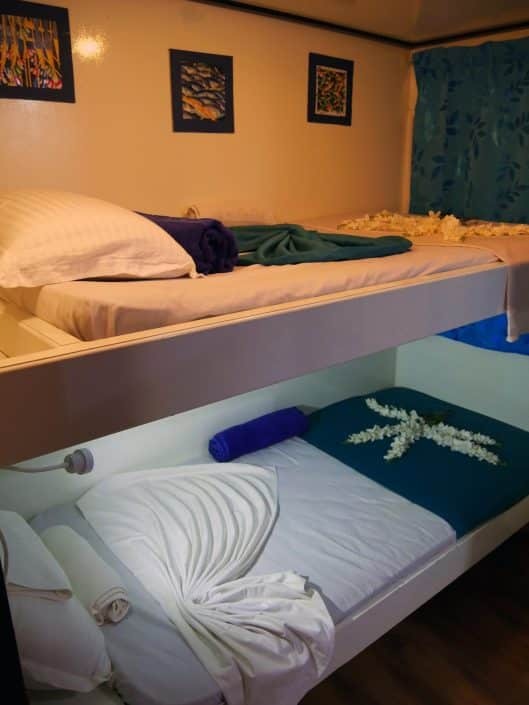 Several recompression chambers are available in the Maldives and are mainly managed by DAN.